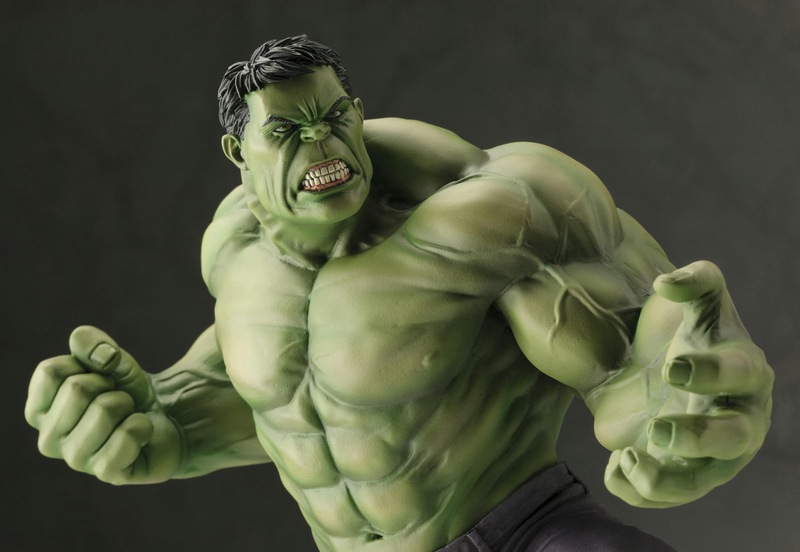 Marvel Comics' next great property to get: The Incredible Hulk Kotobukiya’s ARTFX+ statue. Specifically the characters from The Avengers as they appear in Marvel Now. In 2012 the comic book company re-launched several titles, shifting some characters into different books and updating some for a modern audience. More than anything, it provided a perfect jumping on point for new readers. Now the characters are brought to life as never before based on concept artwork by superstar artist Adi Granov. 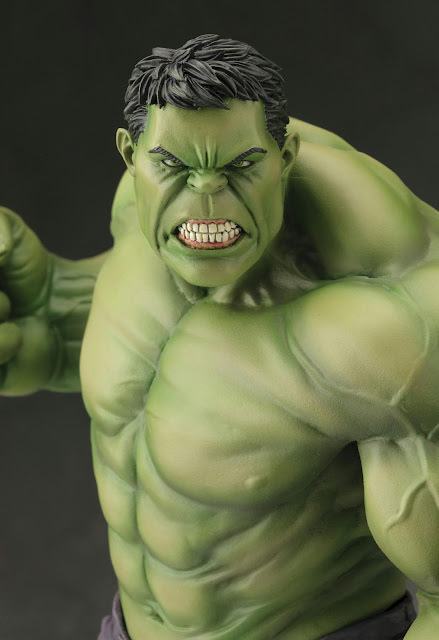 For the very first Avengers ARTFX+ release it’s the HULK! 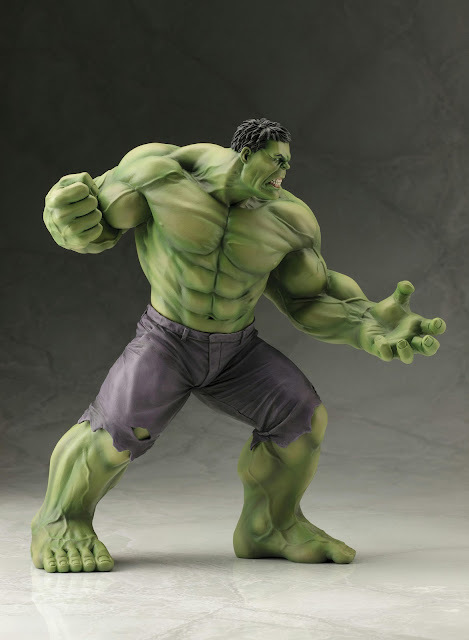 Bruce Banner was a scientist studying the effects of gamma radiation when he was caught in an explosion. Rather than destroy him the energies transformed him into the Emerald Giant The Hulk! 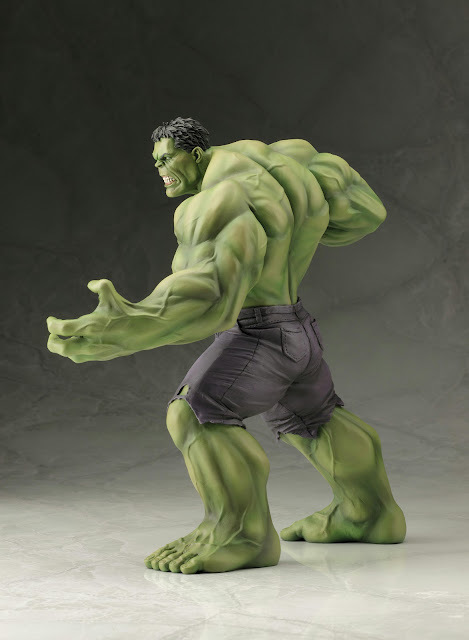 The Avenger stands in a classic comic book pose, angled to the side and leaning forward with his arms outstretched. 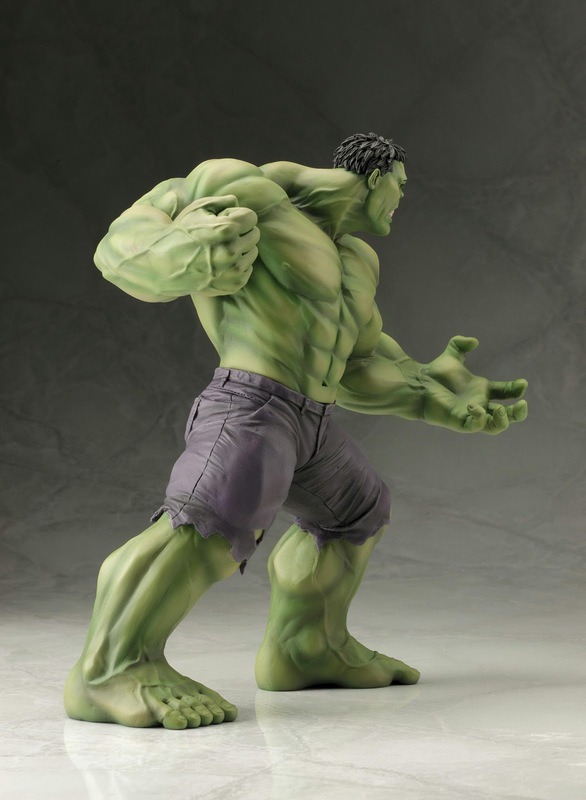 The Hulk has his leading hand open as though to taunt his enemies, though his right hand behind him is balled into a fist to deliver a mighty blow! 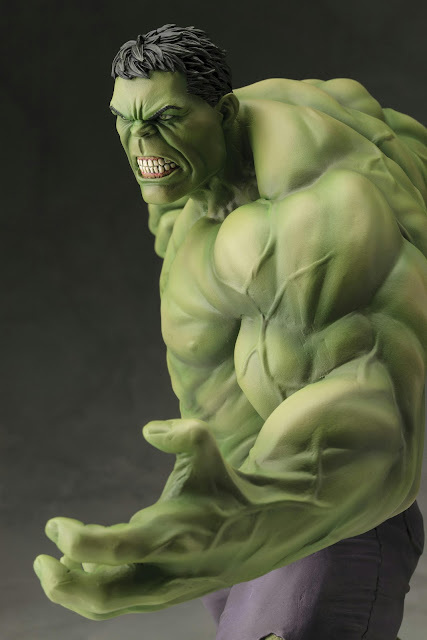 The Hulk is fantastically detailed with intricate musculature down to his sinews and veins, and the harsh grimace on his face shows off the rage he can’t keep bottled up in battle. 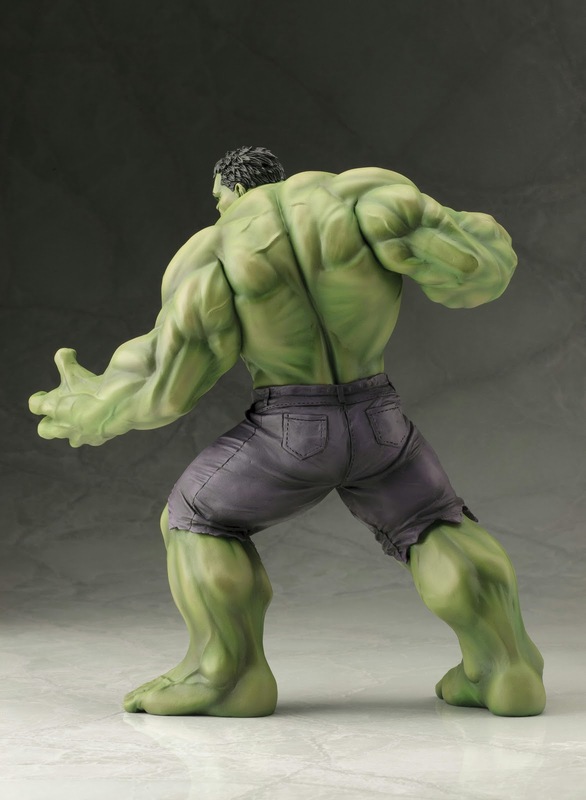 Banner’s alter ego wears his traditional tattered purple pants (no Hulk would be complete without them), and his skin is expertly painted with varying shades of green. The massive Hulk stands just barely under 10 inches tall (in the ARTFX+ 1/10th scale) on his included magnetic display base. 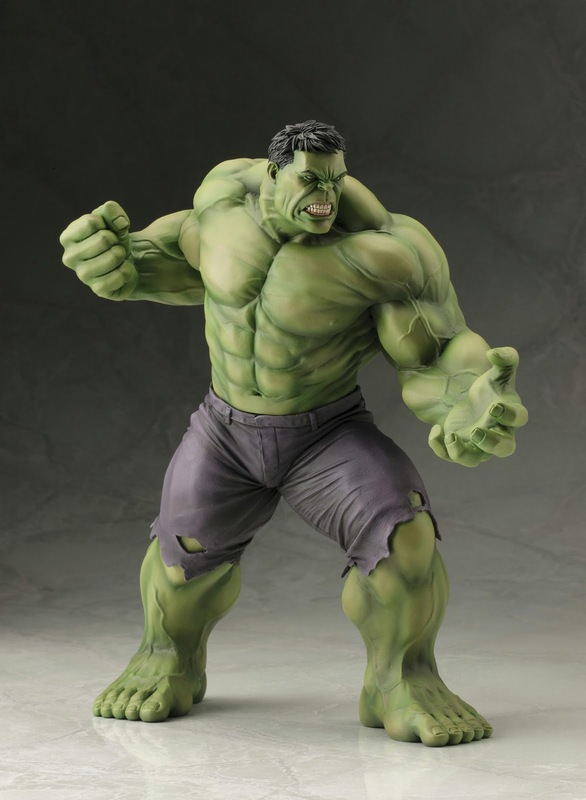 Hulk will be joined by his fellow Avengers: Hawkeye, Black Widow, Captain America, Iron Man, and Thor. 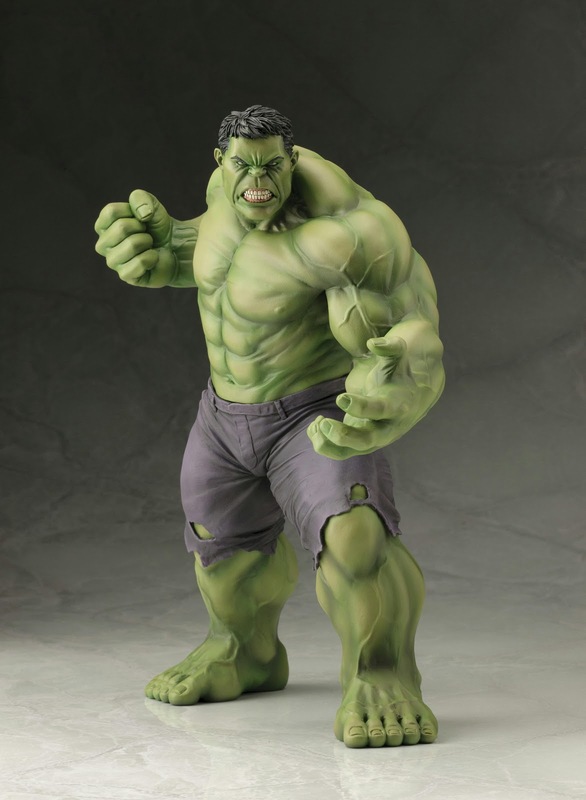 Begin your ARTFT+ Avengers collection in March 2014 at a retail price of $64.99.